Tell us about yourself and what you create... Hiya! I'm Beck Johnstone, wife to an amazing supportive husband, Mother to 4 beautiful kiddies (ranging from 8 years to 16 months) and I create unique floral headpieces and hair accessories for all ages. When did you know you first wanted to be a designer? I've always grown up being a little weird and creative but the term designer has never really resonated with me until I started creating my floral fascinators and headpieces. My love of nature and blossoming flowers has a big impact on my pieces. I just love the beauty of a flower in bloom. This is quite obvious with my headpieces but even the lace and fabric pieces are turned into blossoms or nature inspired. Describe your perfect day... My perfect day would have to be one spent with my beautiful family. My 4 beautiful babies keep me entertained with their craziness! What is your best ever creative moment? These are usually the ones where I don't have a plan. I'm busy tinkering away at something to see if it will work and somehow it just does! I can never usually repeat what I've done either. Describe a lesson you learnt from creative failure? Going back a few years to one of the first pieces I made for my daughter. It had an explosion of colour and texture on it. I thought it was great at the time but looking back at it now I've realised keeping it simple is way more effective. What's the scariest movie you have ever seen? Growing up I was a horror movie freak. I loved them all! My bestie and I would have scary movie marathons with all the classics. The scariest I've seen would have to be 'The Hills have eyes'. Mind you I had just given birth to my first son so I was an emotional mess when I tried to watch it. Turned it off half way through! What's your favourite childhood book? Anything by Enid Blyton. Especially 'the Faraway tree' series. Little bit excited that my 7 year old has just started reading them too. What's your favourite tunes to get you in the creative mood? Anything laid back and chilled. I'm a huge fan of the Kooks thanks to an old buddy and I still play them on repeat as I'm creating. WANT TO LEARN MORE? WHY NOT JOIN AN EPM WORKSHOP! 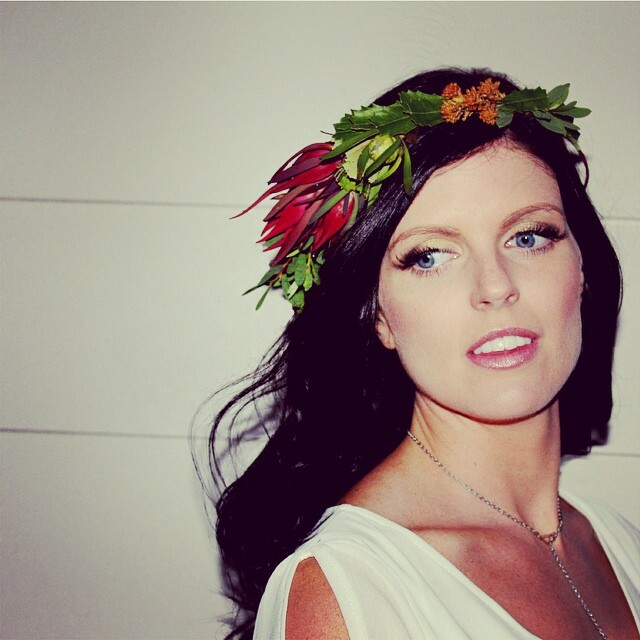 Join talented crafter Beck from KolbeeRae Designs to embrace your inner flower child and learn to make your own Australian Native fresh flower crown! Discover the unique art of designing your own head wear using local fresh wild flowers from fellow EPM stallholder Peninsula Wild Flower. A fantastic work shop for the young and young at heart - all ages would love this workshop! ONLY $25 - includes all materials required to create a gorgeous crown as illustrated. To book please see our eventbrite page here or please contact with any queries on hello@emuplainsmarket.com.au. Be quick as there are only limited places available!